In advance of this becoming reality the blogosphere has, over the last couple of months, been littered with conspiracy theories on secret plans for “Arctic war” between the NATO and the only non-NATO member in the Arctic Council, Russia. Will an increased NATO presence in the Arctic alter the politics of this region for the worse? Some observers assert there are reasonable grounds for fearing a “NATO-Russia standoff” in the Arctic. Relations were especially tense in 2007 after Russia planted its flag on the ocean floor beneath the North Pole. The Canadian foreign minister, Peter MacKay, famously stated “This isn’t the 15th century. You can’t go around the world and just plant flags and say: ‘We’re claiming this territory’”. NATO’s combined response came with the then Secretary General Jaap de Hoop Scheffer’s reminder that NATO has a deep historical commitment to the High North. Since then, Arctic policy has been a standard topic of discussion in the “NATO-Russia Council”, a forum intended to discuss security matters and keep NATO-Russia relations in balance. In the latest meeting in April both sides agreed that whatever security challenges they meet over the Arctic are best addressed jointly. For some, these talks mean little in practice. Critics point to the suspicious motives that must underlie the joint military exercises between NATO members and other Scandinavian states. 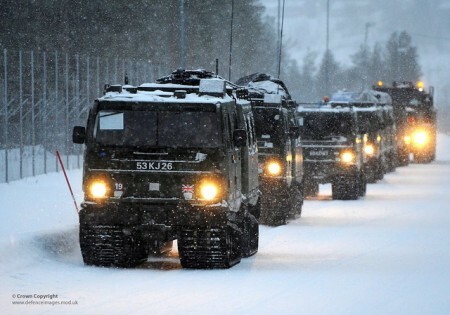 These are held in the most northern parts of Sweden and Norway and this year’s exercise counted over 16’300 troops from mainly Canada, France, The Netherlands, Great Britain, Sweden and the United States. More joint operations are planned. Defense cooperation between North America and Northern European states is in itself nothing new. Since the Cold War NATO has made a significant contribution to the territorial integrity of its Scandinavian friends. However, the most important reason for why a schism between the NATO and Russia seems unlikely is because there is no common ground within the Alliance as to what role it should play in the Arctic. For all of NATO’s attempts to coordinate military capabilities, there is no consensus on how these forces should be deployed. Canada famously vetoed the Alliance’s first attempt (in 2009) to enact an Arctic policy and was likely to be behind the decision to make no mention of the Arctic at the recent Chicago summit. By contrast, Norway is a keen advocate of NATO consolidating its influence in the high north. Indeed, the United States, Denmark, and presumably the three remaining Scandinavian states, also support increased NATO engagement, providing this is limited to responding to natural disasters. This would, in turn, keep the Alliance in line with declarations made at the 2010 Lisbon Summit, where NATO declared that its Arctic policies would set aside its traditional role as a force projector and deterrent to instead assuming burdens of monitoring sustainable development and political stability without linking it explicitly to security. Taken at face value, therefore, NATO’s current thinking and stance over the high north is perhaps far less confrontational than the blogosphere suggests. A stand-off between Russia and other Arctic countries is highly likely given the former’s aggressive stance and increasing military strength in its north. China is another player that could play a dissonant role. See e-thriller “Arctic Meltdown” for one fictional scenario (based on current realities)as to how this might play out.